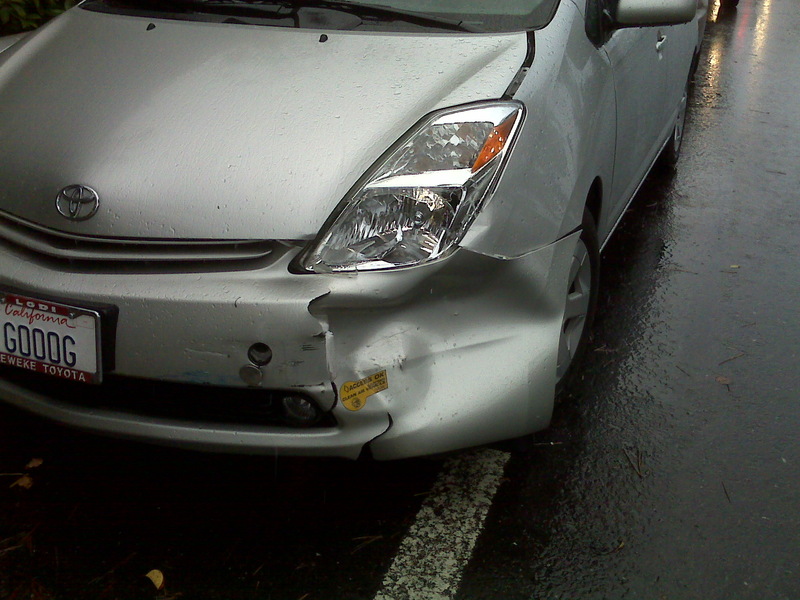 Prius bumper damage 11/3/2008. Click to enlarge photo. Old guy didn’t notice his light was red and almost T-boned the Prius. By luck, a police car was immediately behind the Prius and saw everything.